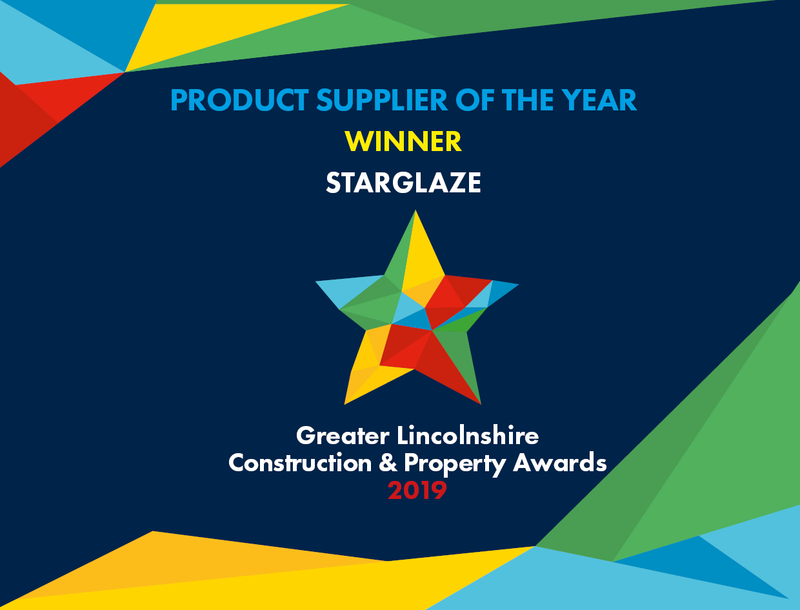 We’re excited to announce that Starglaze have won the Product Supplier of the Year award at the Greater Lincolnshire Construction and Property Awards 2019! Over 350 people gathered together in order to celebrate the Construction and Property sector in Lincolnshire, which took place at the Doubletree by Hilton in Lincoln. We were proud to be invited to this event, and were excited by our initial nomination! It was a beautiful event overall, and everyone had a great time. The guests arrived at these prestigious awards, sponsored by Fraser Brown Solicitors, and were welcomed by guest speaker and Homes Under the Hammer presenter Martin Roberts. We weren’t the only team taking home awards of all kinds; plenty of industry-leading companies took to the stage alongside us for a variety of reasons. It wasn’t just about recognising quality home improvements, however. Nor was it just about Martin’s entertaining retelling of his career and time on ‘I’m a Celebrity, Get Me Out of Here!’. These awards also helped to raise a massive £3,416.50 for Lincolnshire-based charity, Kids. This group support over 15,000 disabled children, young people and their families every year by delivering over 120 different and useful services. The team at Starglaze would like to thank everyone who took part in organising the event, as well as everyone that helped to raise money for such a worthy cause. In the meantime, we promise to continue delivering an award-winning level of customer service. Get in contact with our specialists today by calling us now on 01522 512020, and see first-hand what we’ve done to earn this incredible recognition. We look forward to working with you!